Do your research. Find a gallery that fits your work. Respect and follow the submission guidelines that are posted on the gallery website. If submission guidelines are not posted then contact the gallery and ask if they are accepting submissions and if they accept website submissions. The more we as artists ask for our websites to be used as a submission tool the more likely it will happen. Write a cover letter in the email introducing your self and stating why your work fits with the gallery. Address your email letter to the appropriate person. If that person is not listed on their website perhaps phone and ask who you should address your submission to. This will show that your are professional and respectful. Read my post on Writing there are some good resources to help you put together a letter. Attach at least one image into the body of the email, preferably at the end to encourage the gallery to click-through. Wait a couple of weeks and send a follow-up email (unless they state specifically not to – don’t call us – we’ll call you) and ask about the status of your submission. Include your URL which should be part of your signature – read “Shameless Self Promotion for Artists”. Be respectful and thank them for their time. If you don’t hear back, well you don’t hear back. Let it go and carry on to the next. Please have your site up to date. That means your CV, contact info and your images. 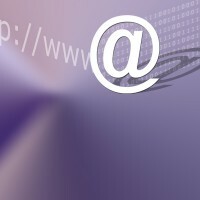 Throw your URL into an email and say “I am submitting my website for review”, click and send. Address your email letter to “Dear Gallery So and So”. DO NOT batch email to a number of galleries at the same time. The procedure for submitting via your website is really no different from what you would do normally. You still need to do your homework, write your words and take your pictures. Perseverance Furthers!